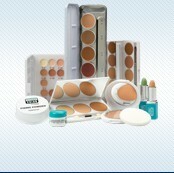 At Kryolan, we make make-up. But not like anybody else. Because unlike everybody else, we actually make our make-up. As one of the first cosmetics brands in the world, we use our own formulas and recipes to manufacture our own products. We think of them. We create them. Formulate them and love them into existence. We’ve been doing this over 70 years. And we’re still doing it today. 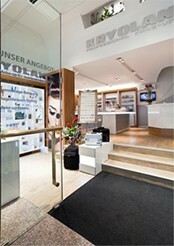 Kryolan started its 8th and 9th extension at its premises in Berlin. More space for R&D, production, shipping and administration is planned. A seminar room will be installed as well. Kryolan successfully held the 5th Global Face Art in Dubai with more than 200 participants from over 30 countries and experienced the trends and techniques of tomorrow. GFA is considered as a platform for exchange of professional knowledge among the industry. In Munich Kryolan opened its 3rd Kryolan City Store inviting professionals as well as end users to experience Make-up Is A Science.